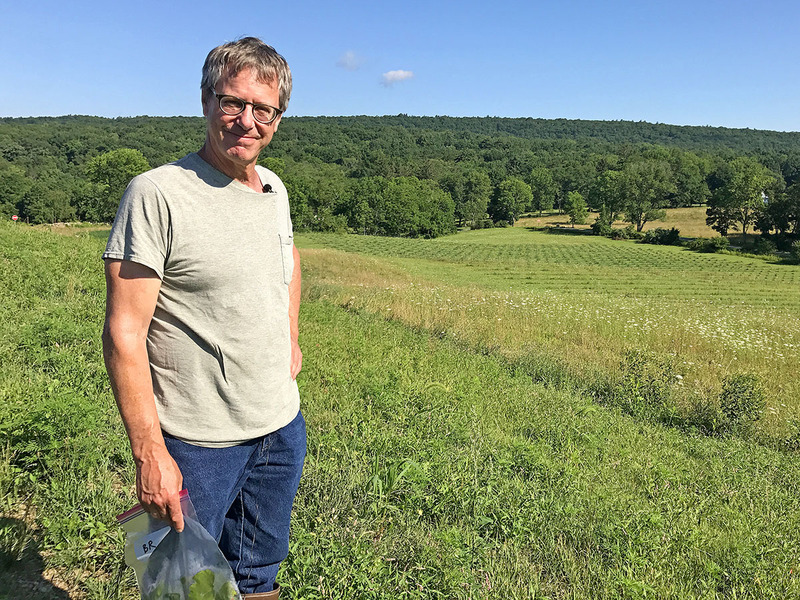 Many farmers say it’s impossible to grow grapes organically in northeastern Pennsylvania’s cool, wet climate. But we don’t believe in the word impossible! 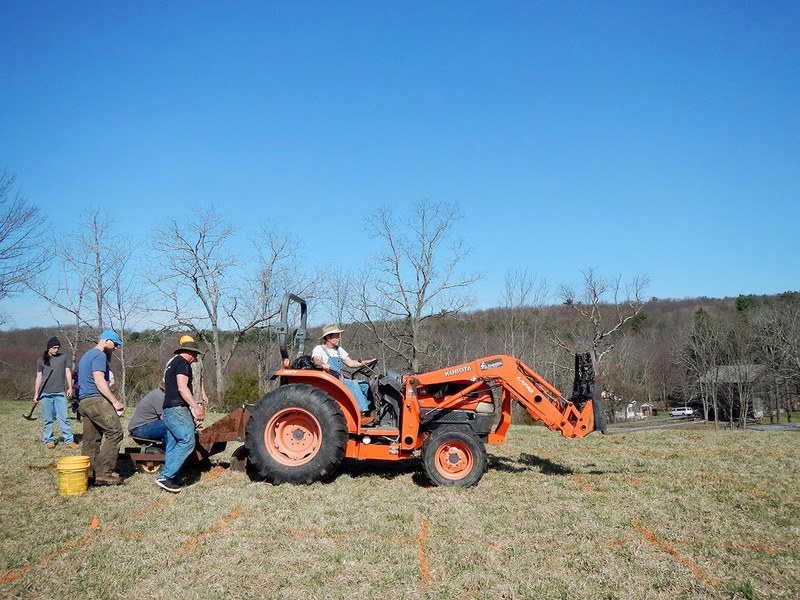 So, we were thrilled to work with SARE on an organic grape growing experiment. SARE invests in groundbreaking research to find innovations and improve American agriculture. We work to operate as sustainably as possible here at Mountain View Vineyard in the Poconos. With grape farming, that’s not always easy. Classic European vines (called Vitis vinifera) don’t grow very well in our region. Many farmers who choose to grow them have to spray them with chemicals frequently to prevent disease development in our wet climate. To avoid that, we grow hybrid grapes. Producers splice different varieties together to breed cold-hardy varieties that can stand up to Pennsylvania weather. While we have had great success with making wine from hybrids, many of our customers say they would still love us to make those classic-tasting wines. We think we may have found a solution! Breeder Tom Plocher has developed a new grape variety called Verona. Testing in Minnesota has shown that it is a cold-hardy grape that produces vinifera-like wines. If we can grow this grape without harsh chemicals, it can change the winemaking game not only for us, but for farmers all across the region. Consumers will be able to enjoy classic European wine flavor from grapes grown sustainably (and if we’re lucky, organically) in their own communities. We are so excited about the potential of this experiment, that we invited some students along for the ride. Students from the Environmental Sciences class at Northampton Community College helped with the planting this April. Penn State Research Technologist Bryan Hed served as our technical advisor. He’s an expert in plant pathology who works at Penn State’s Lake Erie Grape Research and Extension Center. Hed helped us to plan an experiment with an organic plot of 1,000 vines and with a control plot of 1,000 vines. Each plot contained 15 rows with about 66 plants per row. We sprayed each plot three times during the growing season. Each received a different type of spray. An atomizer helped us to precisely control application to prevent overspray and run off. The organic block received certified organic Champ Formula 2 Flowable (Copper Hydroxide) spray. 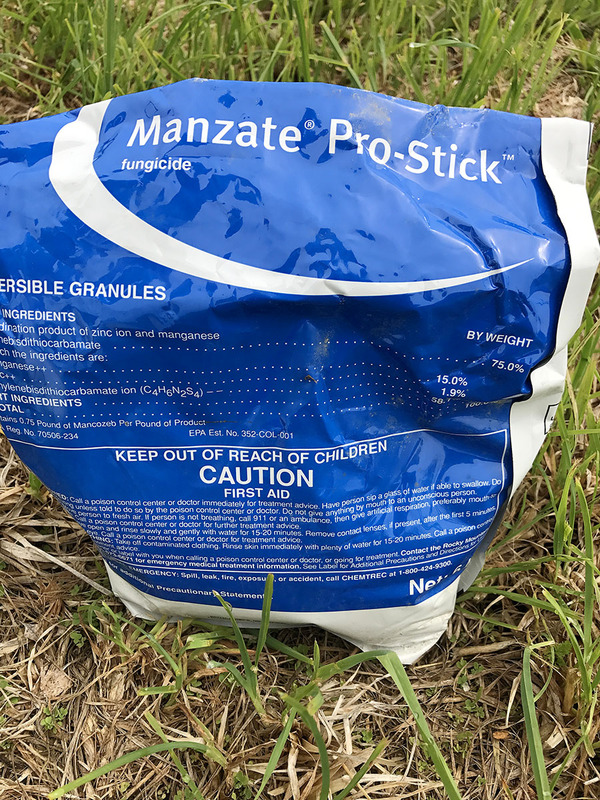 The control block was treated with a minimal amount of a synthetic formula called Mancozeb Manzate Pro-Stilk. Hed set up a disease assessment system for us and taught us how to measure any disease that might show up on the vines. Every week throughout the growing season, we analyzed about 300 leaves. We collected data from the outer ten rows of each block using the Barratt-Horsfall Scale. It’s the system Penn State uses for grading plant disease. At the end of the experiment, Hed analyzed the data. We were thrilled with the results! The Verona plot showed no downy mildew and less than 1% of black rot. The control block showed no black rot and less than 1% of downy mildew. These results are fascinating and we think they prove that Verona has excellent potential in our region. 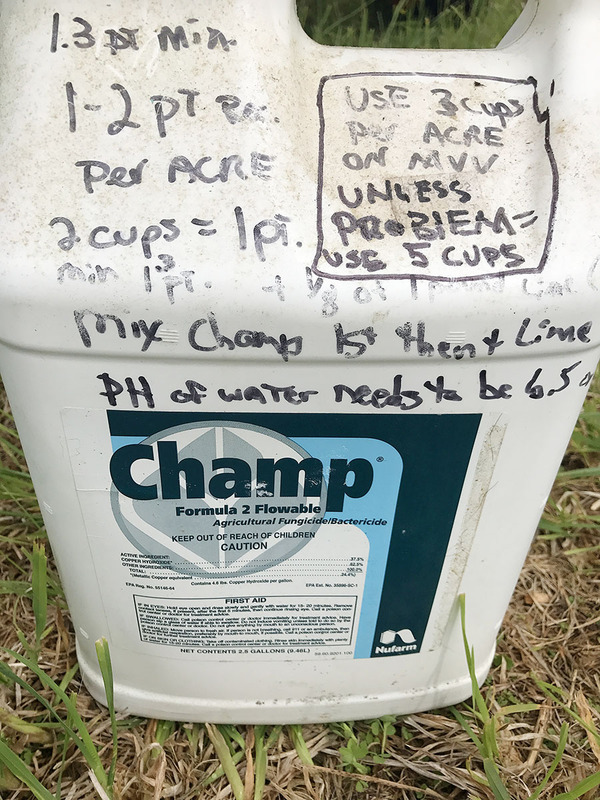 organic test block received Champ Formula 2 Flowable (2 pints/acre; Copper Hydroxide). Applications were made pre-bloom and post bloom in 30 gallons water/acre. severity (percent area diseased) using the Barratt-Horsfall scale (Horsfall, JG., and R.W. Barratt. 1945; (Abstract.) Phytopathology 35:655). Severity data were converted to percentage area infected using Elanco conversion tables. Leaves were also examined for damage from copper fungicide (phytotoxicity). Black rot was first observed as a single small lesion on one leaf in the organic block at the first rating (21 July) and remained at very low levels throughout the summer. The conventionally treated block remained free of black rot throughout the rating period. On the other hand, downy mildew was first observed on 1 September, also at a very low level (a single lesion on each of two leaves) in the conventionally treated block; the organic block remained free of downy mildew throughout the season. 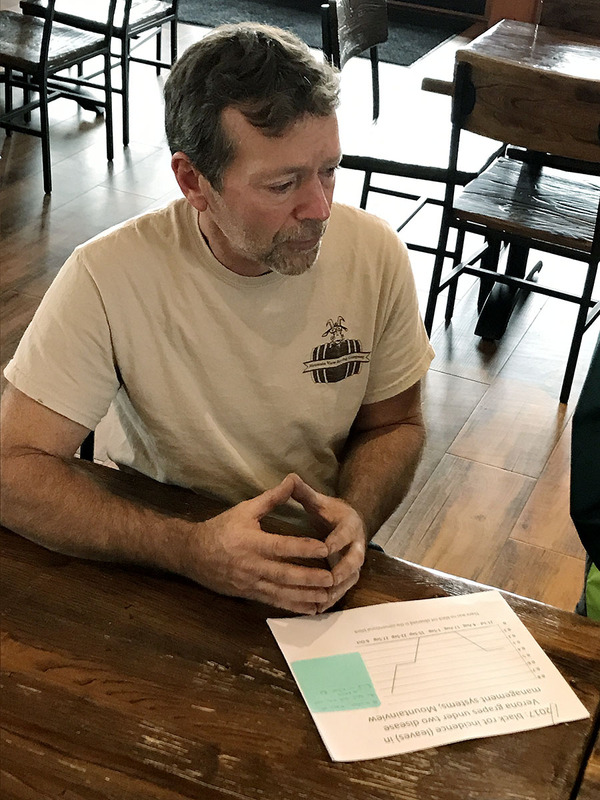 the season was only 1.7% (5 leaves out of 300) and 0.04%, respectively, and for black rot in the organic block, only 0.67% (2 leaves out of 300) and 0.016%, respectively. This is encouraging news and with such low levels of disease, statistical comparisons between blocks would have very little practical significance. 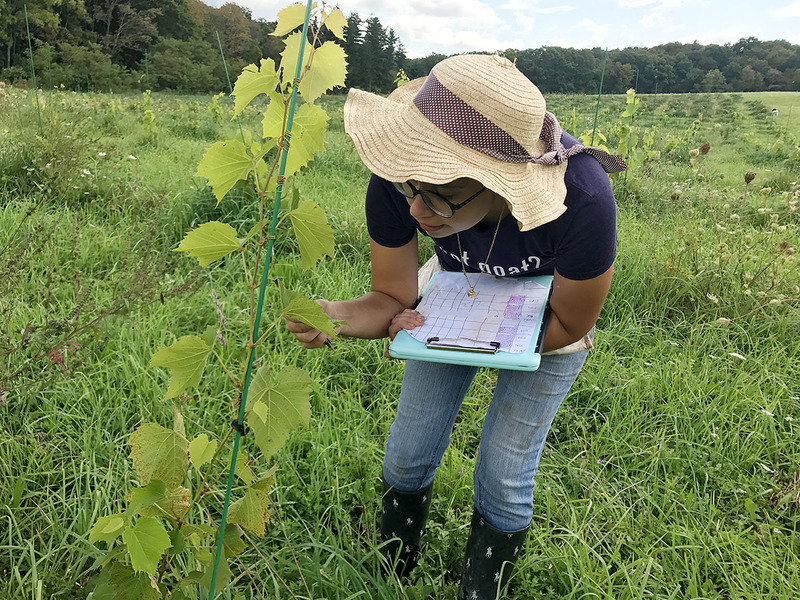 Disease development data collected during subsequent seasons, will help to better define the spectrum of disease resistance of Verona, and the suitability of this variety for wine grape production, at this site in Northeastern Pennsylvania. 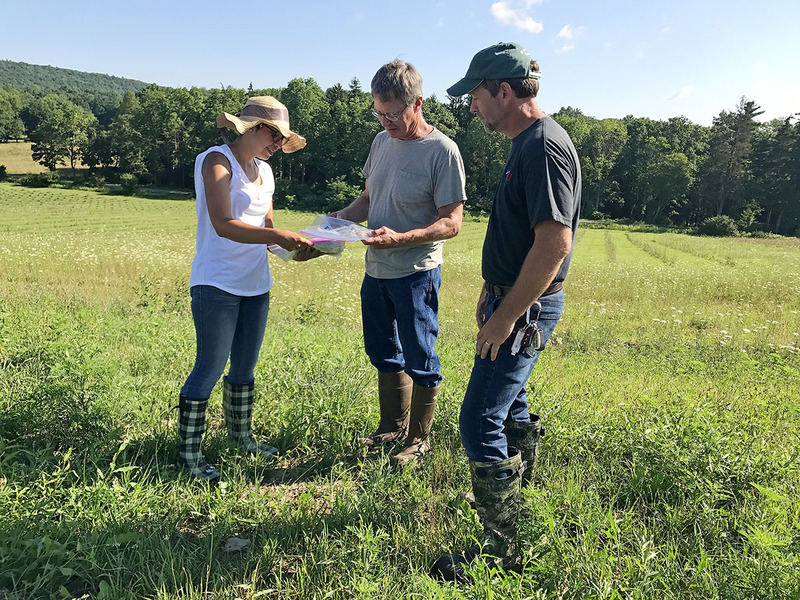 Representatives from the Brodhead Watershed Association and Northampton Community College joined us for a field day to learn about the results and what they might mean for the community. They were all impressed with the experiment’s results and, like us, believe we should continue to study this grape. It will be two more years before the Verona vines are mature enough to produce wine grapes. 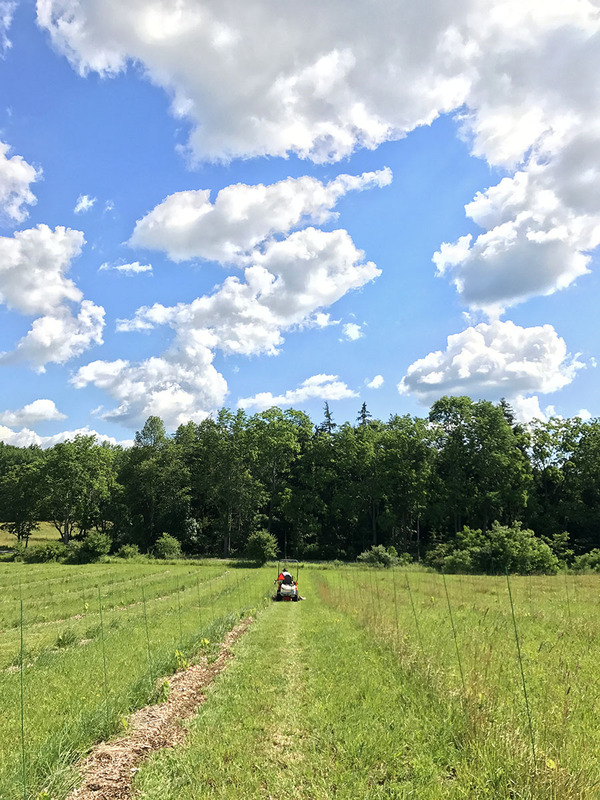 We are hoping to continue our data collection over the next two years so we can deliver a comprehensive report on the life of an organically grown Verona vine in Pennsylvania. 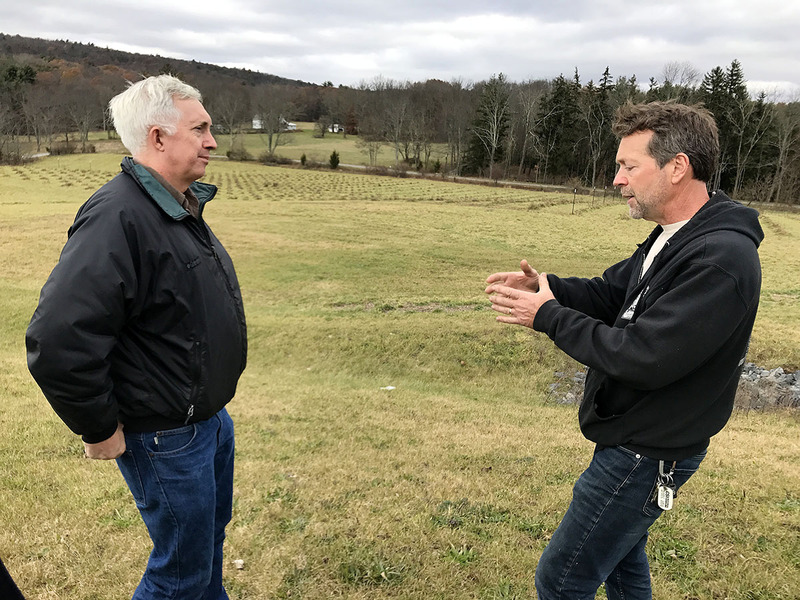 If the project continues on the path that it started, it will change the Pennsylvania wine industry and that is something we’re very excited about!